People learn without training. What?! It’s true! Formal training is only a small part of an organization’s complex learning ecosystem. The majority is made up of informal learning channels that L&D often doesn’t support and may not even know about. 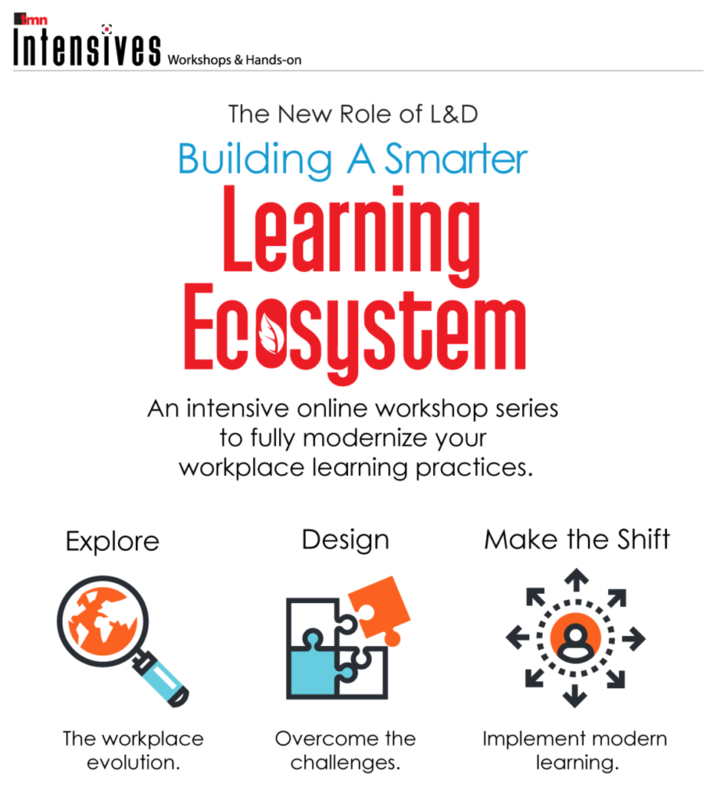 During this series of intensive online workshops, you’ll explore the components of a modern learning ecosystem. You’ll discover how these components work together to empower employees and solve business problems. You’ll practice designing solutions to common performance challenges using the Modern Learning Ecosystem Framework. You’ll walk away with practical ideas that will help you start shifting your approach to learning so that you can meet the needs of today’s employees at the pace of business disruption. We’ll discuss the steps you can take to introduce a modern learning ecosystem perspective within your organization.